Fun & Unique Healthy Foods for the School Year! Now that the school year is well underway, you may be slacking on healthy lunches and snacks for your child or just running out of ideas! Let me refresh you and introduce to you several great, organic and natural companies to get you and your child back on the healthy eating track at school and at home! Erewhon (pronounced AIR-wahn) derived its company name from a famous nineteenth century novel by Samuel Butler. In the novel, “Erewhon” (made by rearranging the letters of the word “nowhere”) was a utopia in which it was a crime to be sick, and everyone was responsible for his or her own health. Since 1966, Erewhon has led the organic revolution. They remain passionately committed to providing pure organic foods. The Erewhon organic foods are made of non-GMO ingredients and their cereals feature nine certified gluten-free flavors. 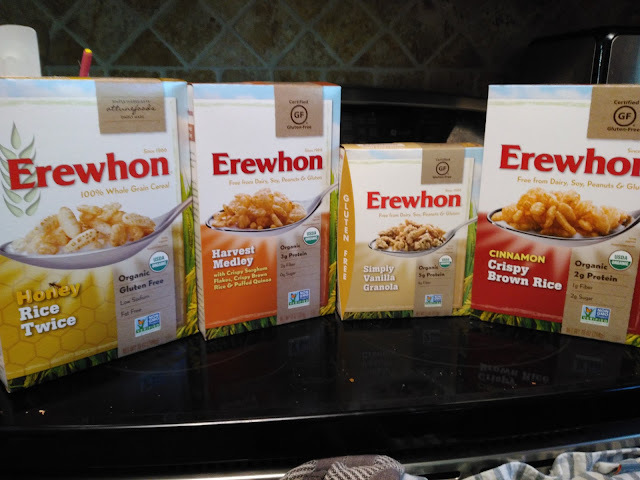 One of my children's favorite breakfasts and snacks is the Erewhon Cinnamon Crispy Brown Rice. It is certified gluten free, USDA organic and Non-GMO Project Verified. Each dairy free and nut free serving delivers 2g protein and 1g fiber with only 2g sugar. It’s a delicious and healthy cereal but also delicious as a fall-themed rice krispy treat! Some of our other favorites are the Erewhon Rice Twice Cereal, Harvest Medley - Gluten-Free Cereal and the Simply Vanilla Gluten-Free Granola! So tasty as breakfast with milk, in yogurt or even in desserts! 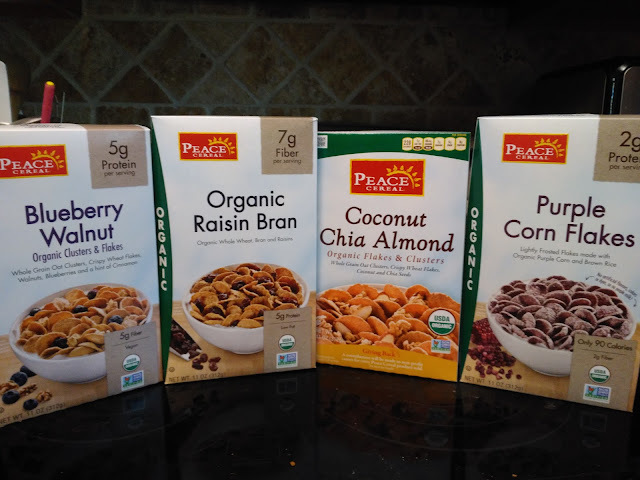 Peace Cereal not only tastes great, but is made from great ingredients, such as premium whole grains, nuts, and dried fruits, and every Peace Cereal product is either USDA Certified Organic or Non-GMO Project Verified! Want to try something fun and delicious to get your children excited about eating healthy? Try the Peace Cereal Purple Corn Flakes! They are lightly glazed flakes made with purple corn, a new trending ingredient, and brown rice. Each serving has only 90 calories, 2 grams of protein and 2 grams of fiber. It tastes just like Frosted Flakes but healthier! My children found these so fun, different and delicious! 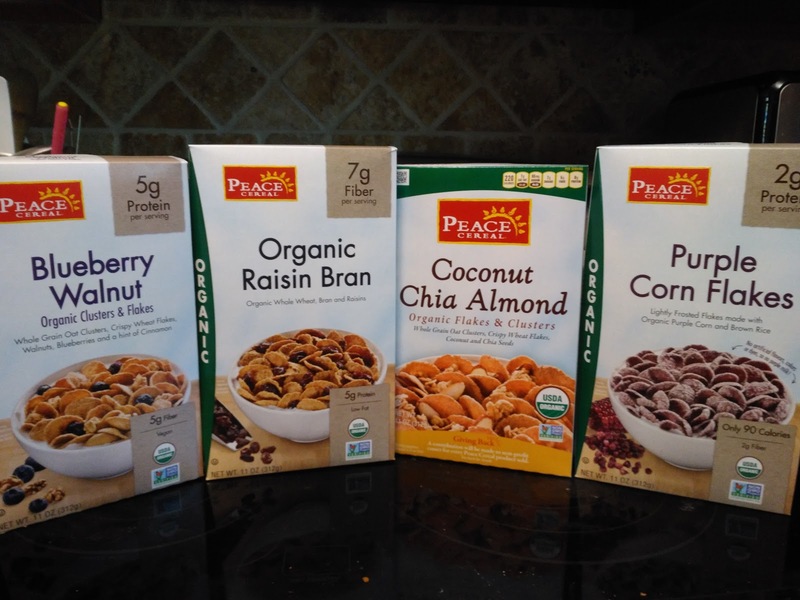 Some of their other favorites from Peace Cereal were their Organic Blueberry Walnut, Raisin Bran and Coconut Chia Almond! So many delicious, unique cereals! My children asked for them by name every morning! ZÜPA NOMA is a line of ready-to-sip chilled soups that are made using Certified Organic ingredients. 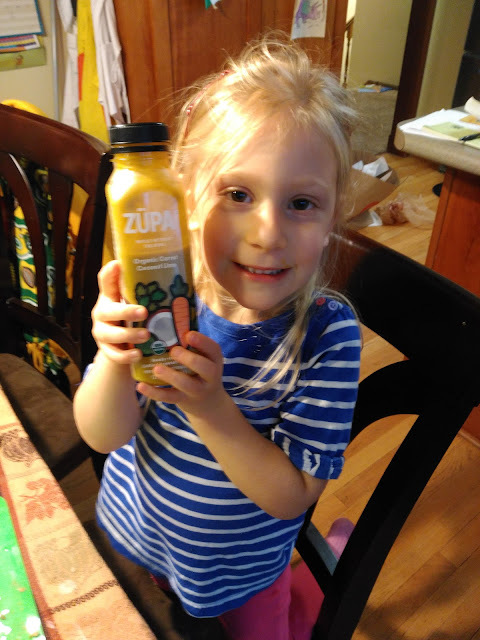 With only the best produce picked at the peak of ripeness and superfood seasonings like coconut, pumpkin seeds, and turmeric, ZÜPA NOMA has an average of 4 servings of fruits & vegetables per bottle! Since we use the whole veggie, seed to skin, and don’t add any sugar, ZÜPA NOMA is also full of fiber and considered a low-glycemic food. Compared to juices, ZÜPA has 90% less sugar than most green juices on the market and has as much fiber as an entire apple or a cup of broccoli. Additionally, ZÜPA has 80% less sodium than most canned soups on the market. 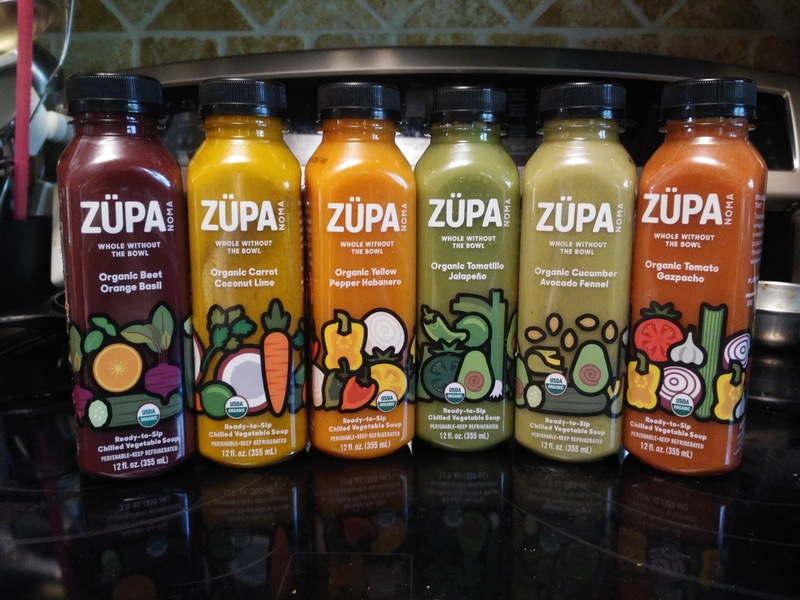 ZÜPA NOMA comes in six flavors. I am a person that has trouble eating as many veggies as I should. these soups have been a great solution not only for my children but for me too! We now have a tasty way to get a variety of vegetables and fruits in our diet and it is perfect for sticking in a lunch box! My daughter especially found these delicious and has begged for it every day for lunch! 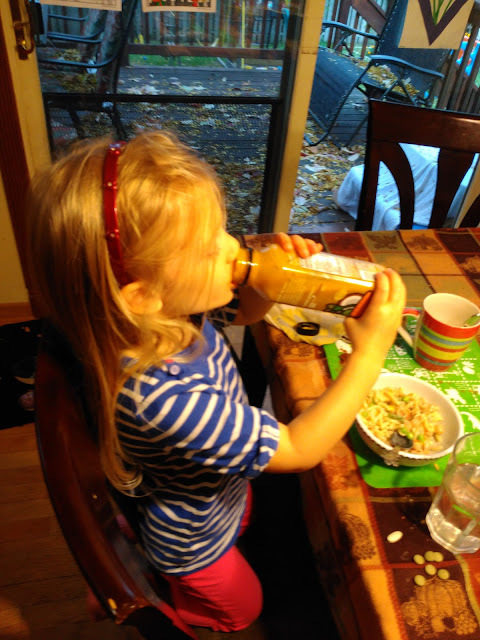 She loves all the fun and delicious flavors she can choose from and I love that she is exploring so many different flavors and foods with each bottle of soup!